Still looking for that perfect gift for someone? Look no further than your scrap fabric bin. Not only will you use up your scrap fabrics but you will end up with a great homemade gift for a friend or family member. I always love giving and receiving sewn gifts, and you can easily make one yourself. A bag is used by everyone, so it’s a great practical gift with the added touch of customization. Above is our Carolina Cosmetic Bag. Which is easily made with only 1/2 yd of fabric and some lining and trims. 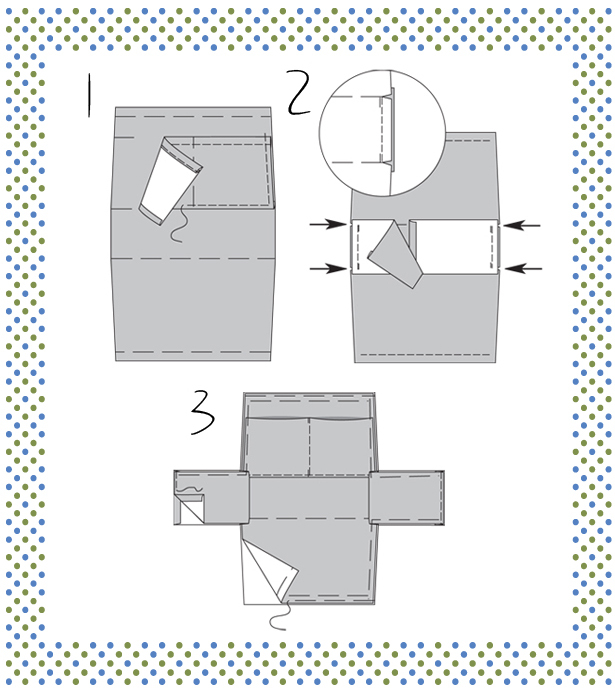 You can also try placing a piece of cardboard between the two layers of fabric to create a base for the bottom of the bag for a sturdier bag. This cosmetic bag has two interior pockets and a zip closure. 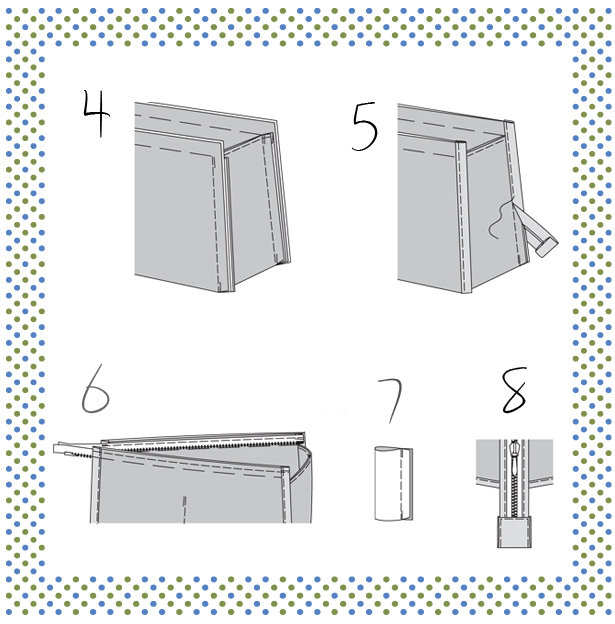 See how to make it below! Refer to pattern instructions for seam allowance and cutting out instructions. I do a lot of traveling so I know I’m going to make one for myself! Here is another great gift idea for your more tech-savvy friend. 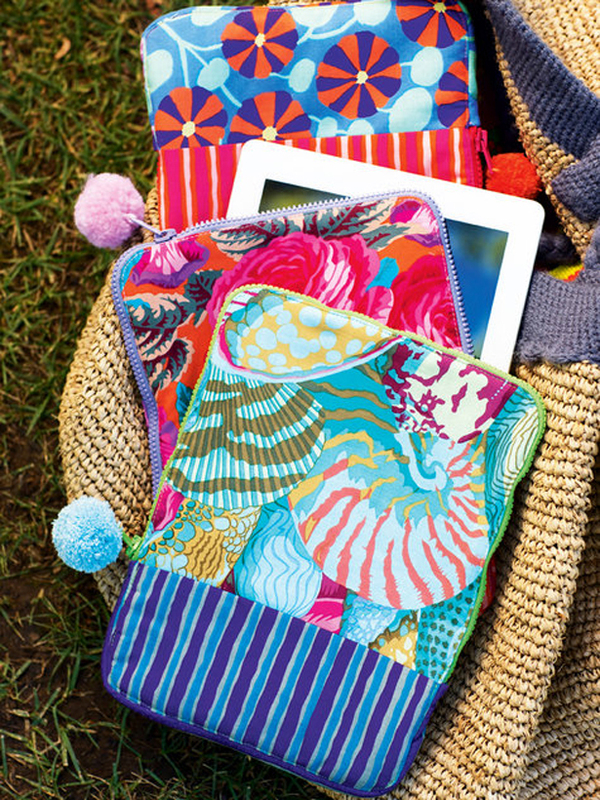 Try making this draft-yourself Tablet Cover with or without the pom pom. 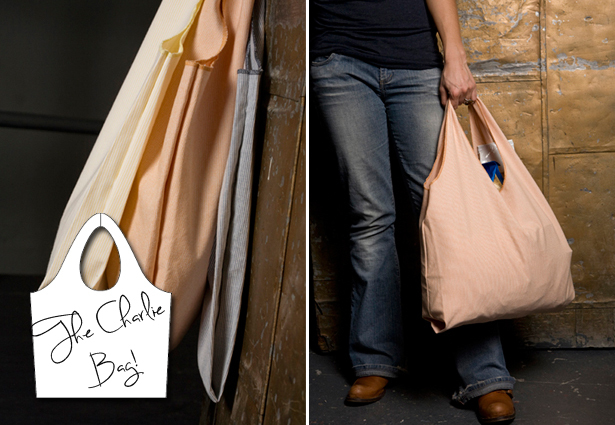 Another great (and easy) project to make is our Charlie Bag. This pattern makes a fantastic reusable grocery bag and is great to throw in your purse because it folds up into a little inside pouch! You can sew and finish the bag in a variety of ways. Depending on how much time you want to spend you can simply serge the edges or bind them, and if your feeling fancy you can easily line it to make the bag reversible. What other ideas do you have for hand sewn or made holiday gifts?